Superintendents and Principals: Are Your Schools Safe? The privacy and safety of students is a major concern for principals and superintendents. Recently, hidden cameras have been found in schools in Prince George County (in the principal’s office), in Springfield, Missouri (in a school for disabled children), in a unisex bathroom (at Villanova University), and in an elementary school bathroom (Clear Lake, Iowa). That’s just a partial list that highlights the serious nature that schools face as technology continues to improve. Should You Have Your School Swept for Bugs? In an increasingly dangerous world, hidden cameras and audio bugs can transmit data to an external location. 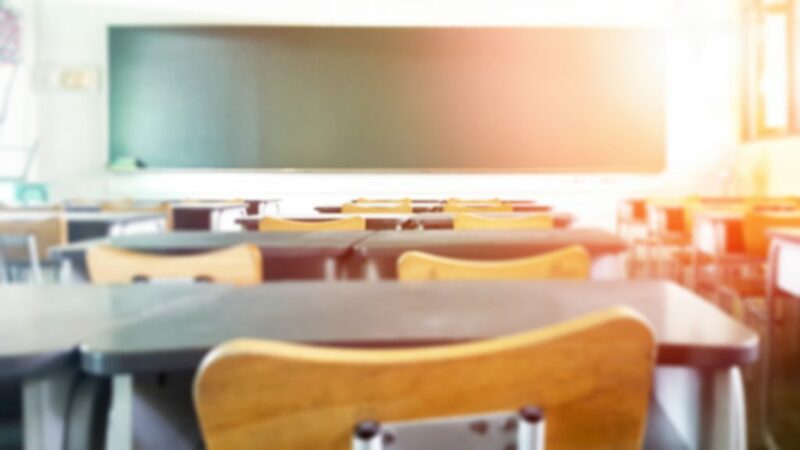 It’s not so far fetched to think that someone may bug the school in an effort to learn the best time to execute an attack against students and staff. As you may have noticed from the news links above, the primary use for bugs in schools invade the privacy and innocence of students, including elementary aged-children and disabled children. This invasion of privacy leaves students and their families feeling unsafe. And if the unthinkable were to occur after the school was scoped out using technology, the school and the school district could be at risk of being named as a defendant in wrongful death, personal injury, and other civil law suits. As a superintendent or principal, you must consider the well-being and privacy of those who come into your school to work or learn. You may have noticed that some of the news stories relied on the perpetrator using a cell phone, but surveillance methods aren’t always so obvious. Technology has improved. Small cameras and audio bugs that are much harder to notice can be acquired for as little as $50. Because they’re so small, they’re easier to hide. This creates an extreme measure of risk that you can guard your students and staff against. If you find a bug or if you just believe that there is a bug, there are some things that you should and shouldn’t do. Don’t talk out loud about the bug regardless of its location. The sound could be transmitted to the person who placed the bug. They’ll know you’re onto them and likely try to remove the device. While you want the device removed for the safety of your school, you also need to know who was behind the planting of the device. If the device is removed, you may never get the answer to your question. Do what you can to keep your routine as normal as possible. However, if you believe that there is a bugging device in a school bathroom, locker room, or other areas students use to take care of their personal hygiene, find a way to minimize that room’s use, but make the reason it’s not being used look legitimate. Again, don’t tell anyone why you’re doing this. You don’t want to tip anyone off. Call Spy Catchers LLC right away to have these sensitive areas of the building swept. Don’t try to remove the bug if you find one. We understand why you want to remove the device. Yet, depending on the type of bug, they can be delicate. It’s important to get to the heart of the matter and discover who planted the bug. Removing the device on your own can damage it. If it’s damaged, officials may never be able to get the necessary information to find the perpetrator. Call Spy Catchers LLC if you find a bug. Our experts will come and properly remove it on your behalf. The goal is for the bug to go undetected for as long as possible. They can be hidden in the ceiling, small holes in the wall, electrical outlets, smoke detectors, on computers (including your teleconferencing solutions), and school phones. You notice that there’s dust and debris on the desk, floor, counter, or other flat surface. This dust and debris looks like it came from the ceiling tiles. There’s a broken ceiling tile. Electrical outlets and other wall outlets that were once straight are crooked. You’re suspicious about the number of contractors or utilities workers that suddenly appear at the school especially if you haven’t placed a work order. Restricted areas are being accessed more frequently. There’s a noticeable difference in the quality of your phone calls, teleconferencing software, or web cam equipment. Spy Catchers LLC wants to help school districts protect the privacy of their staff and students and help keep them safe. As experienced professionals, we recommend that schools be swept for bugs every X (weeks/months/per year). To learn more and to schedule a bug sweeping for your school, call Spy Catchers now at 1 (800) 373-8726!